Made of black 100% recycled ABS plastic with virgin ABS cap on each side. Manufactured In the USA using 25% solar energy. 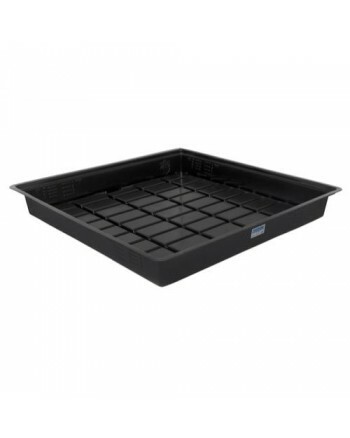 Easy clean drainage grid allows the grower to clean their trays without the hassle of scrubbing sharp corners to remove build up. Built in water level indicators to easily identify the fill level in the trays.